3 in. X 2 in. X 10 ft. Drip Edge, 26 Gauge Galv. 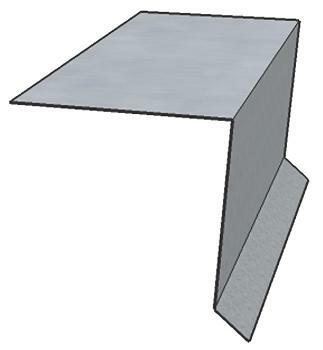 PRODUCT: Drip Edge Roof Flashing Metal, 3" Face x 2" Top x 10' Piece, 26 Gauge G90 Galvanized. Price/Piece. SIZE: 3" face, x 2" on top, with 1/4" kick-out at bottom.